The changing of the seasons seems to provide us all with a reminder that our wardrobes could use a refresh. As we embark on a beautiful spring and a hot summer ahead in the Lowcountry, we’re helping you update your warm-weather look with 5 simple tips for scoring big on your next thrifting adventure. Know what you need. 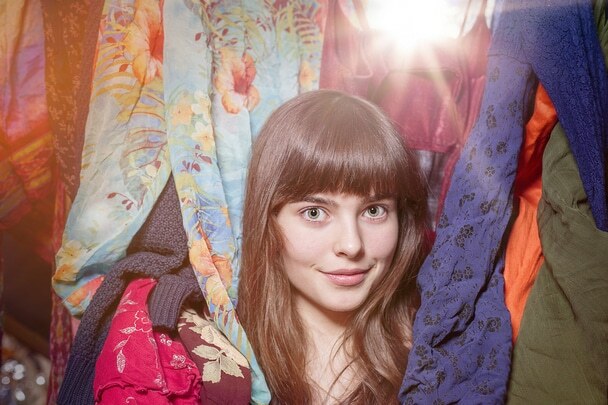 Hopefully, before you begin filling your closet with new finds, you’ve done your spring cleaning. If not, we’ve got you covered there as well – 20 Spring Cleaning Tips, Tricks & Ideas. Cleaning out your closet will give you a good idea of the items you actually need so you can focus on hunting for those pieces when you shop. Focus on staples. You want to give your wardrobe a fresh look while saving money. By focusing on key items that will carry you through the season ahead, you’ll get the most bang for your buck. A pair of light wash or white jeans, a great sundress, and a comfy pair of sandals can be mixed and matched with items you already own to create dozens of new looks. Find a few statements. Once your staples are covered, statement pieces are an easy, fun, and cheap way to add personality to your outfits. Aim to add three to five items to your collection ranging from an oversized floppy hat to a bold necklace or summer scarf. Only buy what you love. It’s easy to get carried away when you find a designer brand or unique item for a fraction of the price of buying new. Just be sure to carefully consider your finds before buying so you end up with items you’ll be excited to wear, not just to buy. The good news is, if you make a purchase you don’t end of loving, you can donate it back and help people in your community find jobs and improve their lives.